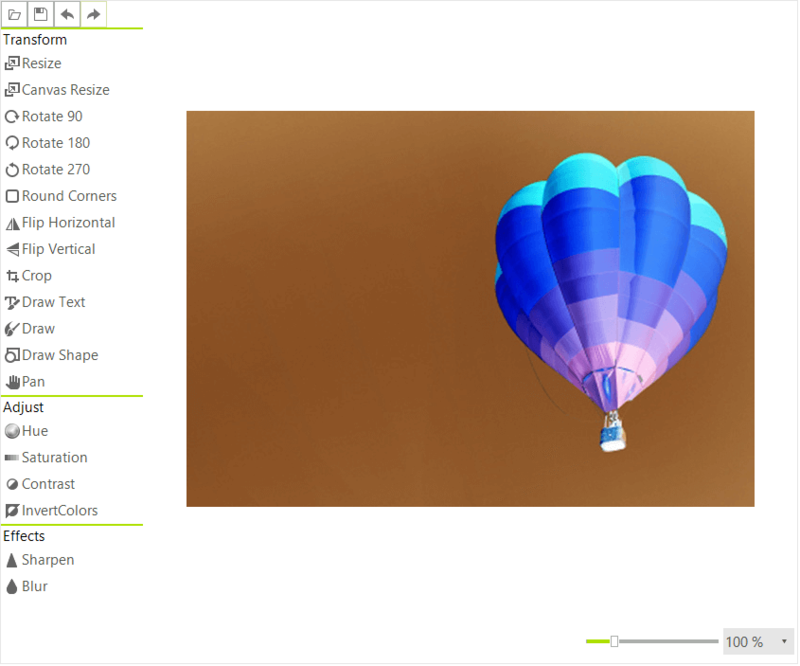 RadImageEditor supports the following image adjustments. The Hue can be adjusted with the respective dialog, the values can be from 0 to 360. This can be done in the code behind as well. The Saturation can be adjusted with the respective dialog the values can be from -100 to 100. To do this programmatically use the SetSaturation method. 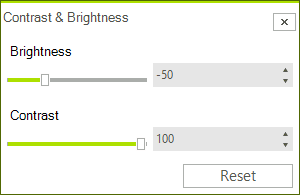 The Contrast and Brightness can be adjusted with the respective dialog the values can be from -100 to 100. The Invert Color button just inverts the colors in the image pixel by pixel. This action can be performed in code with the following method.